"He has plenty of pace, and managed to win a race on the level in France"
Danse Idol should prove difficult to beat in this interesting contest. This Irish point winner finished an excellent second to the talented Relegate at Puchestown in January. 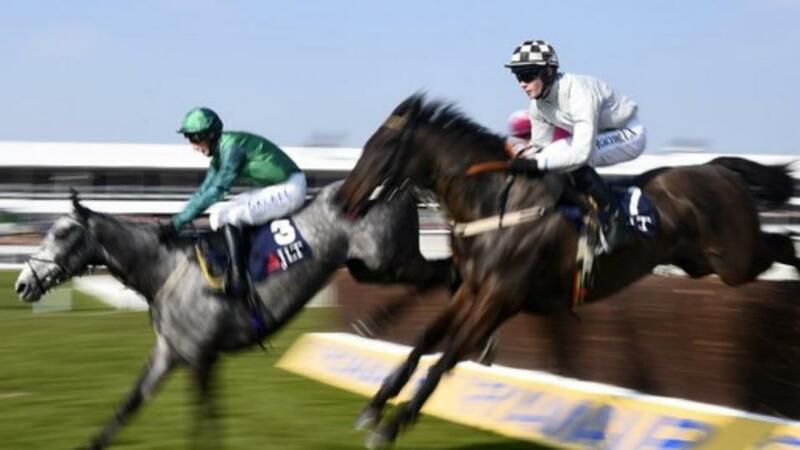 She ran creditably for new connections when finishing sixth in a Listed bumper at Cheltenham last month. This run should put her spot on for her hurdles debut, and is reasonably priced at [3.15] on the exchange. Printing Dollars merits consideration. She is an Irish point winner, and won a bumper in game fashion at Warwick last month. She clearly has ability and is reasonably priced at [5.2] on the exchange. Reve should make his presence felt in this maiden hurdle. Last month at Uttoxeter he put in a much improved effort when finishing second to Supremely Lucky at Southwell. He was headed on the run to the last, but finished well clear of the third placed finisher. He has plenty of pace, and managed to win a race on the level in France. I think he has more to offer and is attractively priced at [4.6] on the exchange. Nicky Henderson sends out favourite Loveherandleaveher who is trading at [2.38] on the exchange. This Irish point winner came to grief on Rules debut at Newbury in January. She has been off for a while, and I do not feel comfortable taking a short price about her.